Wipster is a video review and approval platform designed for producers, content creators and media teams. Teams no longer need to use email, Vimeo, storage, encoding, delivery and archiving tools. Wipster replaces all of these in one tidy, streamlined package, removing the hassle of previous workflows and furthering creative progress. 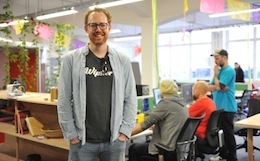 Wipster completed the Lightning Lab Business Accelerator program in May, 2013, launched a Beta product into the New Zealand marketplace in October 2013 and continuously updated the product to successfully come out of Beta in March 2014. In September 2014, Wipster officially launched in the US marketplace Notable Wipster customers include NBC Universal, Grammys, Evernote, Stanley Black & Decker, Shopify, Cisco and Intel. Original generation time 3.7988 seconds. Cache Loaded in: 0.0004 seconds.